Supervisory authority: Hofheim / Ts., The city council of Hofheim, courthouse, 65719 Hofheim / Ts. 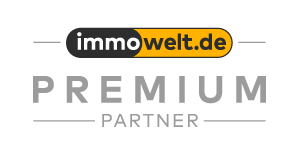 LEGAL NOTE KP-International Immobilien Hofheim regularly checks their websites for their content being up-to-date. Despite careful maintenance of the pages, differences may arise at times. For this reason, no guarantee can be given for the accuracy and completeness of the information provided. LEGAL DISCLAIMER By judgment of May 12, 1998, the district court of Hamburg i.a. decided that website owners are responsible for contents of linked sites / URL´s. This can prevent owners of Internet sites only by the district court of Hamburg, by the owner of the content of linked sites / URL's express distance. On our website you will find several linked sites / URL´s. We have no influence on the content of these linked sites / URL´s and dissociate and expressly. All information in this exposé has been made as carefully and completely as possible. However, the presence of errors can not be excluded. The information in this exposé is therefore given without any guarantee. Decisive are the agreements concluded in the rental and / or purchase contract. As far as the floor plan graphics, dimensions and facilities are included, any liability for these is excluded. We also point out that the floor plans are not always to scale. Visits are only possible after prior appointment with your contact person. Transaction negotiations are to be conducted exclusively by your contact person. Price changes reserved. You can cancel your contract within 14 days without giving reasons in writing (letter, fax, e-mail). The period begins after receipt of this instruction in writing, but not before conclusion of the contract and not before fulfillment of our information obligations under Article 246 § 2 in conjunction with § 1 paragraph 1 and 2 EGBGB and our obligations under § 312e paragraph 1 sentence 1 BGB in conjunction with Article 246 § 3 EGBGB. To maintain the cancellation period, the timely dispatch of the revocation is sufficient. In the case of an effective cancellation, the mutually received benefits and any benefits (eg interest) surrendered. If you can not give us back the service received in whole or in part or only in a deteriorated condition, you may have to pay us compensation. This may mean that you still have to fulfill the contractual payment obligations for the period until cancellation. Obligations to reimburse payments must be fulfilled within 30 days. The period begins for you with the dispatch of your revocation, for us with their receipt.